From WREX's Dan Cohen . 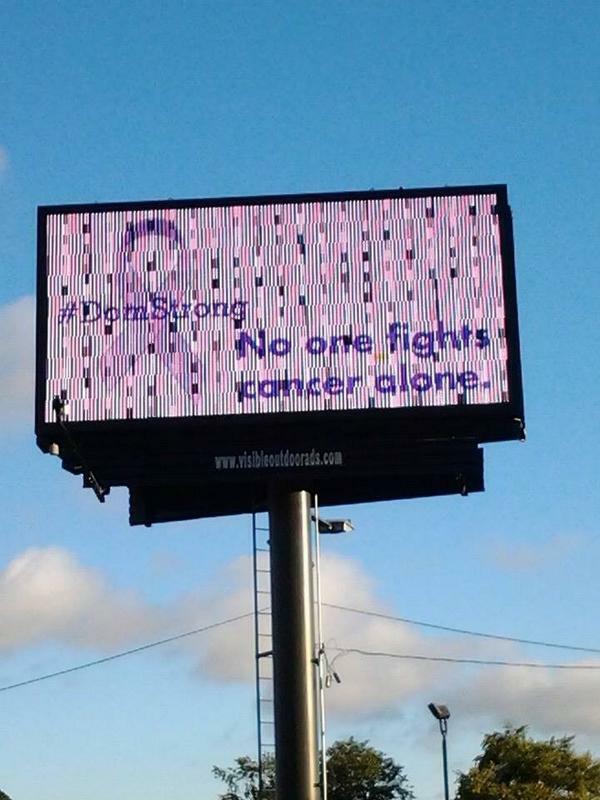 . . another #DomStrong story tomorrow at 6:00 on WREX13--and these photos are compliments of them as well. Love the enhancements! 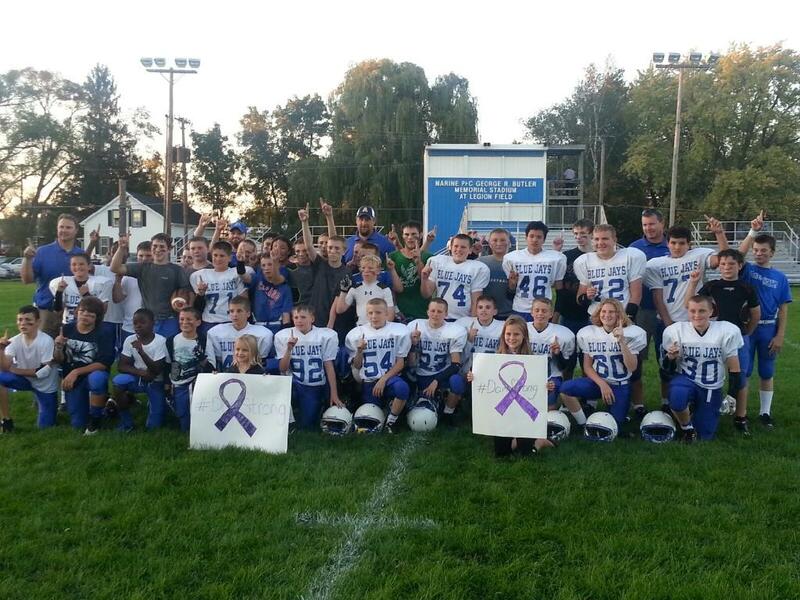 A huge THANK YOU to the Bulldogs from Durand for thinking of Dominice DeMichele tonight before the 7th and 8th grade football games. The Durand Bulldogs and the Aquin Bluejays (future Bulldogs) lined up together before the game and spoke about Dominic and held a moment of reflection for him. 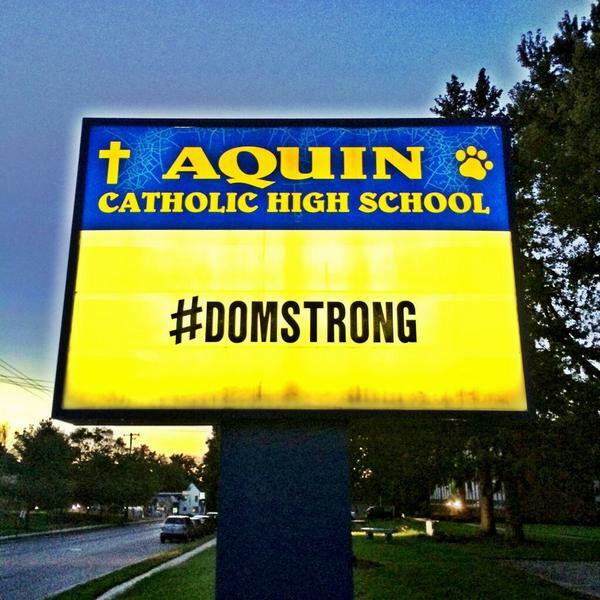 The Durand Bulldogs then announced that before their game v. South Beloit on Friday night, they will be raising awareness and mentioning the Aquin site for donations to Dominic. 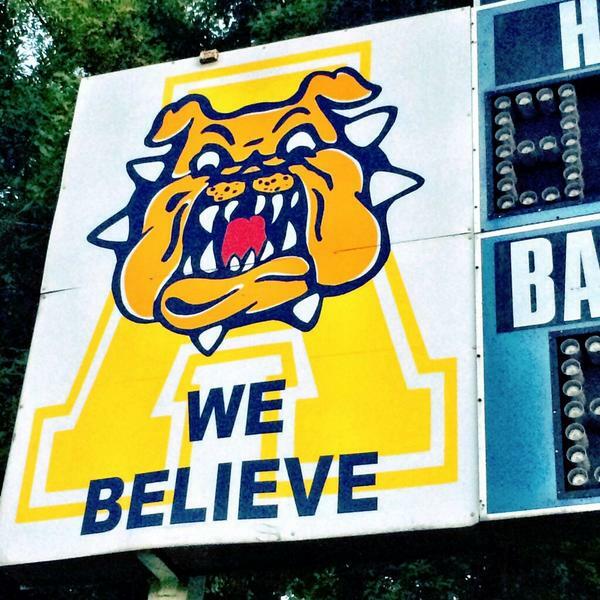 A big shout-out to Meghan Carlisle for the awesome signs she made and took to the game as well. 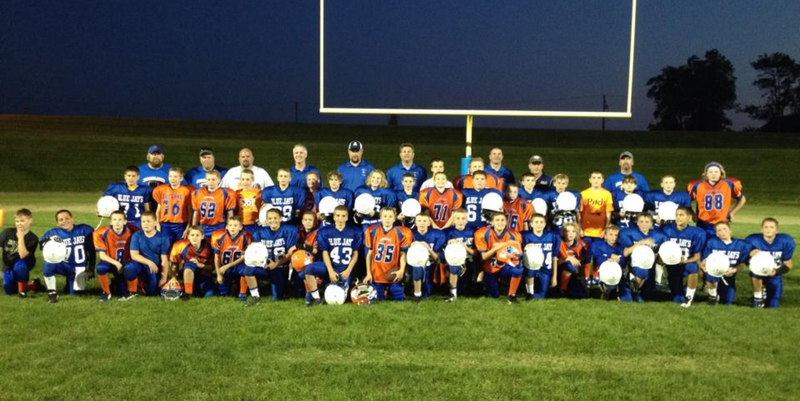 Following the game, the teams came together for a photo. As Orangeville put it so well on Friday night . . . It's not the score at the end of the game that matters, it's the Brotherhood we share that does.